Posted March 25, 2014 by Sage & filed under Human Interest. Our yoga teacher training program at Carrboro Yoga, about to graduate its third class, is a “great books”–style offering. We bring in fantastic guest teachers to present on their respective style, and we invite teacher trainees to explore yoga through direct personal experience. Instead of simply telling them about yoga, we drop them in to it, invite them to enter a state of confusion about the practices and various conflicting approaches, and guide them toward a clearer understanding of yoga’s role in their lives. Now we’ve got a second offering to steep even more: a three-week summer intensive version of the training, running Saturday, July 19–Sunday, August 10, 2014. We’ll meet in the Gold Circle Room at Carrboro Yoga 10 a.m.–1 p.m. and 2–5 p.m. each day, with rest days on Friday, July 25; Thursday, July 31; and Tuesday, August 5. If you’re a student, a schoolteacher, or have a block of time in the summer to work on your connection with yourself, this is the program for you! It’s scheduled at a quiet time in our university town, so if you’re coming from out of town, you can find short-term housing and enjoy our walkable community and its great people and food. Saturday, 10 a.m–1 p.m., 2–5 p.m.
Sunday, 10 a.m–1 p.m., 2–5 p.m. The first step is to contact me to start a dialogue about your intentions. Often, applicants wonder whether the program is worthwhile if they aren’t sure that they want to teach. The answer is YES! 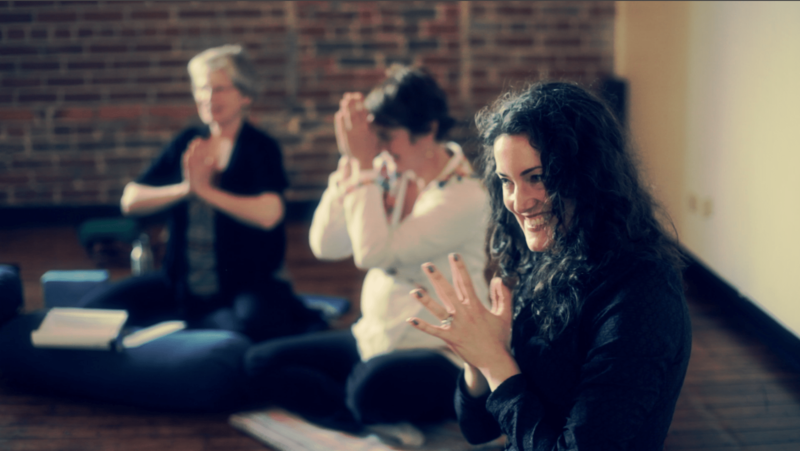 Some people enjoy the training as a means to deepen their own practice, to connect with like-minded friends, and to commit fully to regular enjoyment of yoga. And a subset of these people find wonderful, unexpected ways to share their love of yoga, whether through teaching or other service.